Outdoor deck removal and tear down is a big, big job. Not only does it require a whole lot of labor, it also demands a lot of heavy lifting, and then, there’s the matter of disposal. It takes a lot of time and effort to demolish a wood deck, no matter how small. Since it’s intended as a permanent addition, it’s built to withstand the weather elements and climate to remain useful for many, many years. 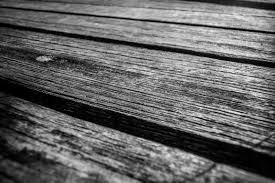 So, let’s take a look at how to dismantle and dispose of a wood deck. Clear the deck. It all begins with a blank slate. (Also, you need an empty space to work freely and without safety hazards.) Clear the deck of any furniture, cooking equipment, decor, and everything else. Leave nothing on it so you can work without stopping. Remove the rails. To begin the actual dismantling process, you’ll need to start with the rails first. Take the rails off the deck and put them out of the way. Remove the boards. Next, you’ll remove the damaged boards or all the boards, one by one. Usually, these are fastened to the support frame by screws, so you’ll just need a drill-driver to remove them. Be sure to put them into a can or bag. Pull the steps apart and cut the frame up. If so equipped, you’ll need to take apart the steps. Then, remove the support posts. When you need deck disposal, just phone 800-433-1094 or visit Junk Garbage Removal.